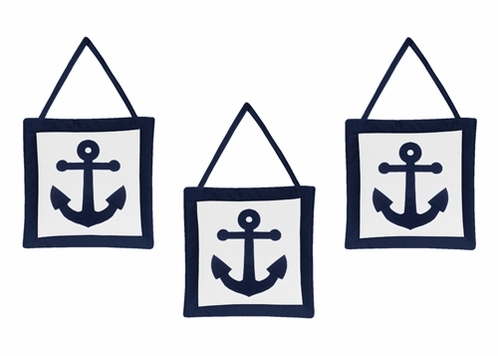 These adorable wall hangings by Sweet Jojo Designs have been created to coordinate with the matching children's sets. This will complete the look and feel of this adorable bedroom theme for your child. These plush handcrafted wall art hangings are great to add dimension and a splash of color to any nursery or child's bedroom. These wall hangings also make great gifts. You will receive a set of 3 wall hangings that are made by Sweet Jojo Designs and goes with the matching set perfectly. Even if you have not purchased a Sweet Jojo Designs bedding set, these wonderful plush wall decorations can enhance the decor of any child's room.